A bag carried to the moon aboard the Apollo 11 spacecraft and used for the first sample of lunar material is at the center a legal fight after the government mistakenly sold it, the Associated Press reports. On Wednesday, the U.S. Attorney's Office asked a federal judge to set aside the final forfeiture order and rescind the bag's sale, saying that the National Aeronautics and Space Administration was not properly notified of its forfeiture because the bag was misidentified. Apparently, two lunar bags were confused as one and the same after inventory identification numbers of them were combined on spreadsheets, the government said. Funny, the GSA fine print says all sales are final. The 2015 government auction was not by the GSA. It was sold on behalf of the U.S. Marshals Service by Gaston & Sheehan Auctioneers. Nancy Carlson is apparently an attorney. A small white bag that was once used by Apollo 11 astronaut Neil Armstrong to hold the first-ever lunar samples to be collected from the surface of the moon is now at the center of not one, but two lawsuits over who owns it today. 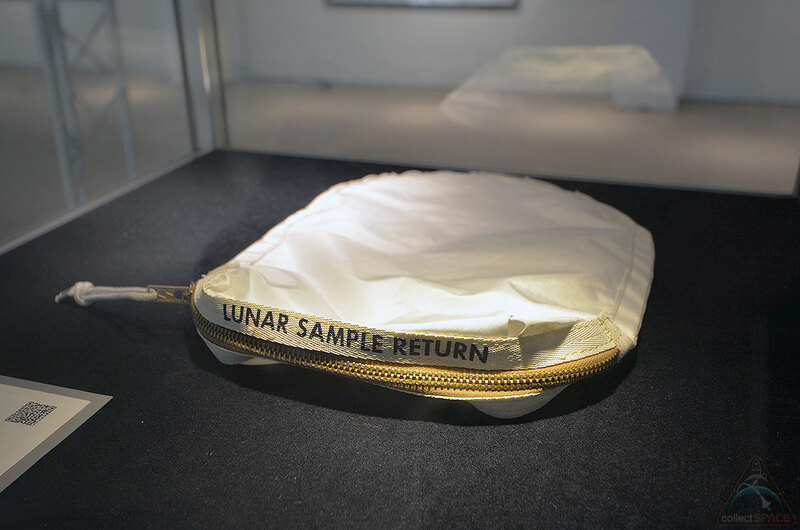 The zippered cloth pouch, which was labeled in bold black letters "Lunar Sample Return," was used on July 20, 1969 as the "outer decontamination bag" to hold the moon rocks for their trip back to Earth with Armstrong, Buzz Aldrin and Michael Collins. Under normal circumstances, one might expect that a bag of such extraordinary significance would be on display in a museum today. Instead, it is evidence in separate lawsuits filed by an Illinois woman who bought the historic bag at a government auction and by the United States Attorney for the District of Kansas, who is seeking to return the artifact to NASA. 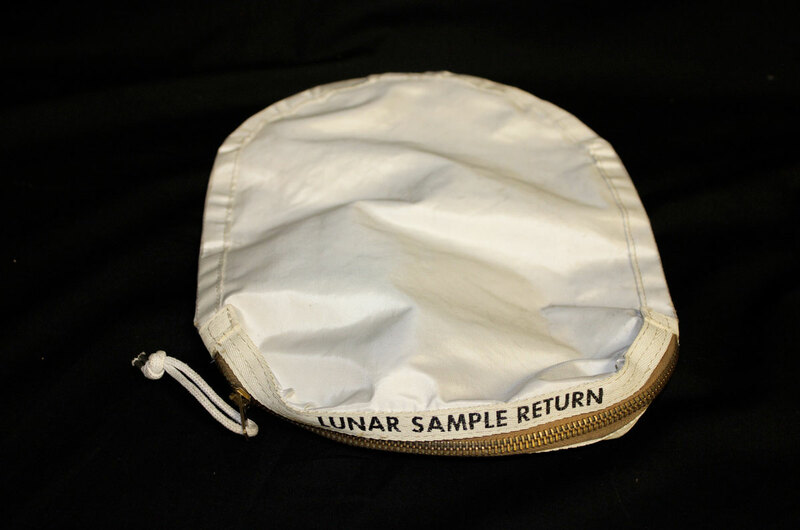 "The lunar [sample return] bag... is a rare artifact, if not a national treasure," Thomas Beall, Acting U.S. Attorney for the District of Kansas, and Annette Gurney, Assistant U.S. Attorney, wrote in a court filing. Can't wait to hear more on this. Couple things kind of weird about this. US Government sent this to auction? Didn't have NASA's permission? I thought that worked the other way around. NASA's the committee formed by the US government. The bag a National Treasure? I believe what was in the bag was the treasure. Believe you and I, if it was a national treasure it would have already been in a museum, not a dark room somewhere not even cataloged correctly. The use of the words National Treasure by the attorney is a ploy for public sentiment and a hope for media manipulation of the case. Just an opinion, of course more details might change them. This would be an excellent discussion about where the line should be drawn. Per the U.S. District Attorney's case, under the federal rules for criminal procedure, the U.S. is "required to publish notice of the forfeiture order and send notice to any person who reasonably appears to be a potential claimant with standing to contest the forfeiture." Flown Apollo 17 Decon Lunar Sample Bag, part no. V36-601506, serial number 06362AAJ8451. It is difficult, so many years after the actual events, to point to a definite place in time when the confusion and misidentification between the two bags first occurred, but it appears that it was early on. In documents recovered from the defendant's home during the search warrant, the defendant wrongly identified the bag purchased for $21,000 as KCSC 2268. Thus, the parties on both sides of this case operated under the same misidentification and confusion regarding the lunar bags. So when the bag was forfeited, neither the Cosmosphere, the government or apparently Max Ary recognized it for what it was. It was not until years later, when the auction firm was researching the lots for sale, was it then described for the first time as having been flown and containing lunar dust, although even then its association with Apollo 11 was not known and/or stated. The government's position is that if the initial confusion did not occur, NASA would have been made aware of the plans to forfeit the bag and would have objected. The question then may be to the court: Does the legal requirement to notify any potential claimants of a pending forfeiture, and the failure to do so in this case, outweigh the protections afforded the buyer? ...if it was a national treasure it would have already been in a museum, not a dark room somewhere not even cataloged correctly. Not that this is necessarily applicable to this case, but if we accept that Apollo moon rocks are indeed a national treasure, then the scenario you dismiss has already happened. 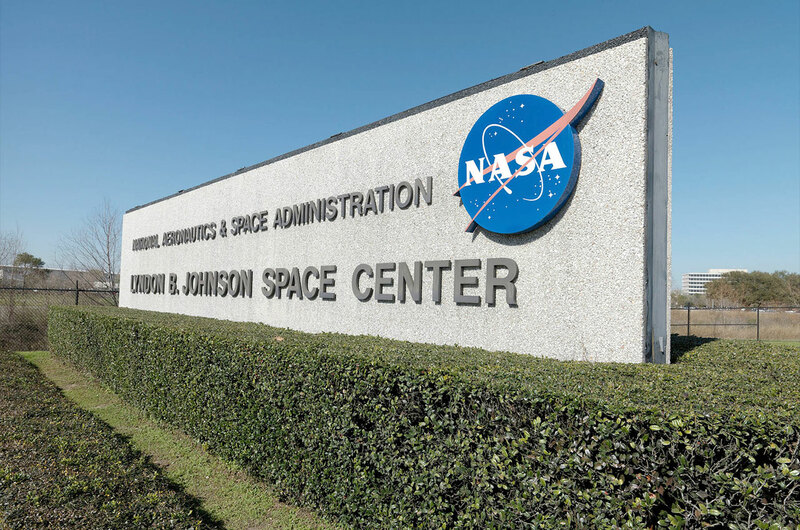 A 2011 audit of NASA's own holdings found that 517 of its loaned moon rock and other samples were lost or stolen between 1970 and June 2010, in part because of administrative oversight and the lack of a system to adequately track renewal dates for long-term loans. Robert, Is there a confirmed part number on the bag? The lunar bag recovered from the defendant's garage is marked by parts number V36-788034 and serial number 06362AAJ1885, which are stamped on a seam inside the bag. The Apollo 11 stowage list associates the part no. with a "Decontamination Bag, Contingency Lunar SRC [Sample Return Container]." Thanks Robert. As soon as I can connect to the SI network I'll trace what is in our records and report back. Are the US Marshals at fault for not notifying NASA? Would every forfeiture of a NASA flown relic need NASA approval for seized asset sale? Flown flags from missions, flown cue cards, lunar surface used checklists, flown spacecraft parts, flown kapton foil and items exposed to lunar environment are publicly traded every day. Ownership of those items is not relinquished by NASA. So I can understand why the US Marshals may not have informed NASA. After all it wasn't on the report of stolen items. NASA does maintain ownership of the lunar material though, like the dust that was found on the bag. I guess it just needs to be determined if the item was stolen or in possession legally. Also, would be interesting to see at what point the inventory error occurred. Thanks Robert for adding more detail to the case. I rescind my previous post. Provenance is always going to be important when collecting any item from a NASA mission. Unless the artifact can be traced back to an Apollo-era astronaut's collection, to a government surplus sale, to an official NASA presentation (e.g. from an official flight kit) or to some other specific, authorized means of government disposition, then questions may be raised. A Marshals Service auction would generally be seen as provenance supporting the legal acquisition of government property, which is why this case isn't clear cut. This actually will lead to a little clarification with regards to NASM holdings. For Apollo 11, the two Sample Return Containers (rock boxes) were stowed in the MESA on the LM (Eagle). There were Decontamination Bags for each stowed in the CM locker A8 at launch. One was actually inside the other along with a Decontamination Bag for the Contingency Sample. That's the bag of this story. NASM has both SRC Decontamination Bags (although until now they were assigned a single catalog number, which I will correct). There was a separate "SOFT" container for the Contingency sample on the LM stowed in the LHSSC (Left Hand Side Stowage Compartment). Once back in the LM the rock boxes and the contingency sample in the SOFT container were stowed and then transferred to the CM after rendezvous. We know where each item was stowed on the CM and that the corresponding Decontamination Bag was stowed in the same container. Its not exactly clear (to me) exactly when the rock boxes and the contingency sample were placed in their respective Decontamination Bags, although there are specific instructions in the post flight ASHUR document regarding the handling of the samples once they were in the Decontamination Bags. This may have been before the samples were placed in lockers B5, B6 and A5, or later on the USS Hornet. Anyone know? In any case, unlike the SRCs and both of their Decontamination Bags (which are safe in the National Collection), there are no records of the contingency sample, the SOFT container or the Contingency Sample Decontamination Bag finding their way to the Smithsonian. It is my understanding that the bags from the LM would be placed in decontamination bags before being placed in the CM. "Decontamination" meant avoiding contamination of the CM with lunar dust. I don't know whether this would be done inside the LM, in the docking tunnel, or just inside the CM. When returning items and equipment from the moon, precautions are taken to minimize lunar contamination to the CM and earth. The items are vacuumed, placed in decontamination bags (containers) aboard the LM, and the outer surface of the bags vacuumed. The items with decontamination bags are then transferred. The items requiring decontamination bags are the two lunar sample return containers (LSRC), the contingency lunar sample return container (CLSRC), 70 mm magazine container, and the lunar close-up camera cassette. The PGA bag will be used for the CDR and LMP space suit return container as it can be readily attached and detached from the CM aft bulkhead. The decontamination bags are Beta cloth with zipper closures and fit snuggly over the item and its container. The decontamination bags are stowed in a CM aft bulkhead locker and transferred into the LM after lunar rendezvous. I don't know whether this would be done inside the LM, in the docking tunnel, or just inside the CM. Inside the LM, according to the flight plan. The "SOFT" container sounds like Item G4016 in the LM Launch Stowage List. Yes, the SOFT container for the Contingency Sample was Item G4016, P/N M11329-EK-004-0-04 "CONTAINER, CONTINGENCY LUNAR SAM Ret-SOFT" according to the Stowage list. Item G4016, P/N M11329-EK-004-D-04 is also in the Apollo 12 LM Launch Stowage List. The government's court filing states that the determination of the mission was made by the analysis of the moon dust inside the bag. The National Air and Space Museum has a number of training foldable extension handles with cup type sample containers labeled as "contingency samplers." We don't have any of the SOFT containers with a part numbers like Item G4016. We also don't have any decontamination bags designed for the Contingency sample. As I posted we have both of the Apollo 11 SRCs and their decontamination bags in the collection. All this is consistent with the account as developed here by Robert. I have sold a few Apollo lunar sample bags which have a very similar part number as the bag on the Apollo 11 stowage list (-006 vs. -004). 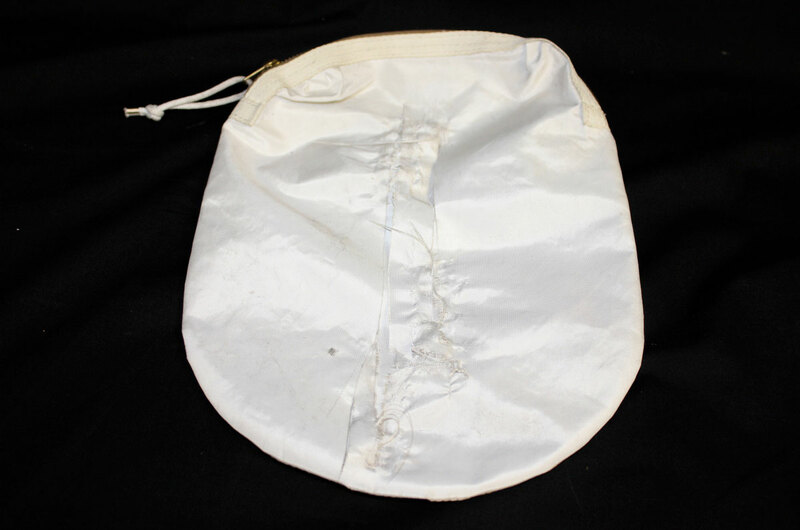 The Apollo 11 sample bag may be similar to that teflon bag (originally obtained from Charles Bell estate). The two large ALSRC "rock boxes" were removed from the MQF on the Hornet and flown to Houston and the LRL. Item G4016 and 06329 will be removed in MQF and will remain in MQF until return to LRL. Item G4016 is the soft teflon bag containing the contingency sample, and Item 06329 is the decontamination bag it was placed in. Okay. If you want to have a look at what the moon looks like, you can open that up and look. Don't open the bag, though. After Armstrong and Aldrin discuss a checklist, Collins asks, "What was that bag?" and Armstrong replies, "Contingency sample." An Illinois woman is the legal owner of an Apollo 11 lunar sample storage bag that was mistakenly sold by the United States government at auction, a judge ruled on Wednesday (Dec. 14). Judge J. Thomas Marten ruled in the U.S. District Court for Kansas that Nancy Carlson of Inverness, Illinois, obtained the title to the historic artifact as "a good faith purchaser, in a sale conducted according to law." The government had petitioned the court to reverse the sale and return the lunar sample bag to NASA. "She is entitled to possession of the bag," Marten wrote in his order. Very disappointing decision, in my opinion. As the judge wrote in his order, both Nancy Carlson and NASA had legitimate interests in the bag, so it came down to precedent and whether the sale to a bona fide purchaser could be rescinded after a final order of forfeiture. The best case scenario would be as the judge wrote, that Carlson and NASA find a way to "amicably resolve the dispute." I am not optimistic that will happen, though. My spouse Isabelle has a good question here: Would the buyer encounter any legal challenges should she elect to resell the item? Of course that's another question... although the current owner is the current "legal" owner, so there shouldn't be a problem. Would the buyer encounter any legal challenges should she elect to resell the item? The judge ruled that Nancy Carlson has title to the bag, so unless the government appeals and a different verdict is rendered, it is hers to do as she desires. If the bag is an item she will cherish as part of her collection, then I can see the fight. If it goes up for sale to the highest bidder then I feel her values are in the wrong place as money is not everything in life. There are few items I feel need to be conserved and displayed at the Smithsonian but this would qualify. I am sorry the government was unable to work a deal with her and even more outraged that they would allow this to happen in the first place. With her title to the bag now ordered by the Kansas court, Carlson needs to file a motion in the U.S. District Court for Texas for its return from NASA's Johnson Space Center in Houston. Today I sat second chair in District Court Judge Gilmore's court (U.S. Southern District of Texas) in an unusual case. In this case Judge Gilmore awarded a lunar bag that once carried Apollo 11 moon rocks on the moon to a woman who lawfully bought the bag at a Government auction. That bag was confiscated by the Government absent a warrant which led to this litigation. NASA, following a judge's order, will turn over an Apollo 11 moon rock bag to the Illinois woman who bought the artifact at a disputed auction. Judge Vanessa Gilmore, in the United States District Court for the Southern District of Texas, ruled on Friday (Feb. 24) that Nancy Lee Carlson's property was "illegally seized" by the space agency. Gilmore ordered that the Apollo 11 lunar sample bag be "produced and handed over" to Carlson at NASA's Johnson Space Center on Monday (Feb. 27). Courtesy Joseph Gutheinz, footage from the hand over of the Apollo 11 moon rock bag at the Johnson Space Center. Video credit: Emma Gutheinz. Having reviewed footage from the handover of the Apollo 11 moon rock bag at the Johnson Space Center, I can't say I'm impressed. What is worse is that there appear to be audible references to the bag having been ripped/damaged to a greater degree than was previously the case! Talk about an undignified legal tug-of-war. Looks like they pulled the seam apart to make sure there was no moon dust in it. An Illinois woman has filed a lawsuit against NASA, claiming the agency damaged and improperly retained lunar material from an Apollo 11 moon rock collection bag that she previously sued over, won title to and then sold at auction for nearly $2 million. Nancy Lee Carlson claims in her latest lawsuit that NASA and the actions of its lunar sample curator "diminished the fair market value" of her former property and caused her injury — "humiliation, embarrassment, emotional stress and anxiety" — in the process. She is seeking "an amount that is fair" to cover her emotional distress, the damage to the artifact and her legal expenses.